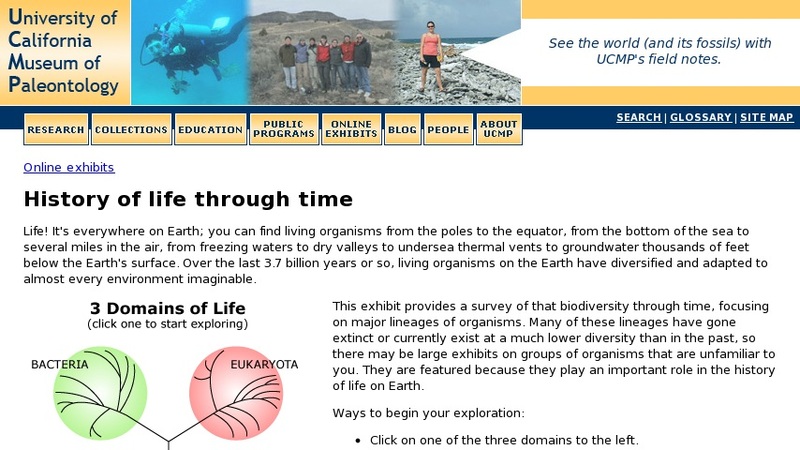 This online exhibit explores the ancestor/descendant relationships of the three domains of organisms, bacteria, archaea, and eukaryota. Topics include the fossil record, life history and ecology, systematics, and morphology of each domain. There is also a link to a list of available taxa for the Eukaryotic kingdoms (chromista, fungi, metazoa, plantae, and protista) and to reference material on phylogeny, cladistics and evolution.